When your commercial security systems are visible they perform a dual purpose. The remote sensors will perform if your premises are violated, and just the sight of the alarms can be enough to deter opportune thieves. 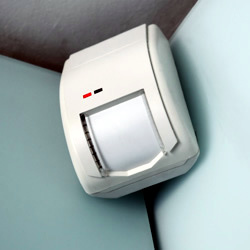 Our high quality intruder alarms strike fear into the heart of burglars, and can cost less than you think. Do you worry about your business when you’re not there? That’s understandable, but our alarm monitoring service can take a load off your mind. Sonic Security UK Ltd are part of the Aquila Group. That means we can provide alarm monitoring 24 hours a day, 365 days a year. The theft of lead from church roofs is becoming all too common in Lincolnshire. That’s why our experts have developed a bespoke system designed to combat and prevent this problem. Call us for more details.